I’m always planning my “Bag of Books” for any vacation we take. Just ask my husband, who has now spent many trips helping me lug the separate piece of luggage I dedicate solely to my literary pursuits, and back in middle and high school, my poor brother and dad (sorry guys). Charles bought me both a kindle AND an iPad mini in the hopes that I would stop lugging so many paperbacks around, but alas, all it did was add options for me in ADDITION to my physical copies. Hopeless. Below are several books, divided into categories, that I think would be excellent vacation reads. Some of these titles I have read, others I have merely heard or read about through literary podcasts and blogs, but I trust my fellow book addicts’ tastes. Happy reading! (Those marked with a * have not been read by me…yet). I have talked about these books A LOT, both in person and on the blog (here and here). This is a four book series written by an Italian novelist (under a pen name which has caused quite a bit of controversy). It follows the lives of two young women who are wrapped in an intense, competitive friendship – from their childhood and through their various marriages, career advances, and offspring beginning in 1950’s Naples, Italy. The first book was a slow start for me – it took me about half the novel to get into, but once I was hooked, I couldn’t stop pouring through this series. You have to understand that this book isn’t an action packed suspense series but a deep, immersive exploration of the thoughts and pathos of two girls/ladies. HIGHLY recommend all four of these novels if you enjoy those types of books. 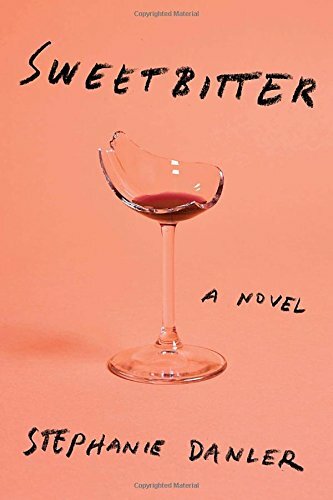 “Everything about fifteen-year-old Cat’s new town in rural Michigan is lonely and off-kilter, until she meets her neighbor, the manic, beautiful, pill-popping Marlena. Cat, inexperienced and desperate for connection, is quickly lured into Marlena’s orbit by little more than an arched eyebrow and a shake of white-blonde hair. As the two girls turn the untamed landscape of their desolate small town into a kind of playground, Cat catalogues a litany of firsts – first drink, first cigarette, first kiss – while Marlena’s habits harden and calcify. Within the year, Marlena is dead, drowned in six inches of icy water in the woods nearby. Now, decades later, when a ghost from that pivotal year surfaces unexpectedly, Cat must try to forgive herself and move on, even as the memory of Marlena keeps her tangled in the past. I am not a huge romance reader- I prefer watching rom-coms to reading them-but the ladies of TheSkimm recommended this novel and I trust them for everything..I’ve read several of their other rec’s with delight. 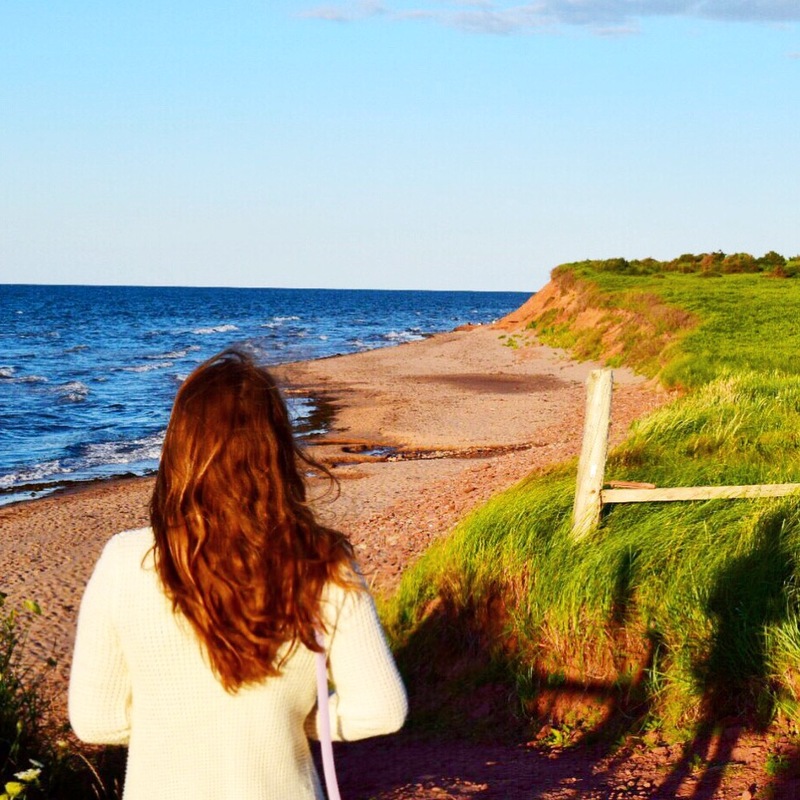 If you’re living under a rock and don’t know what TheSkimm is, it’s a daily email newsletter of the day’s latest headlines in bite sized, sassy pieces (by the way, if you haven’t started reading them yet, please sign up here…I get free t-shirts and baseball caps for referring people their way…pretty please!). Fun Fact about the author of this series, V.E. Schwab – during her brief stint living in NYC, before she got super popular and was just starting out as a published writer, she lived with one of my best friends from college! I met her one weekend while I was visiting my friend Jen, and she was an absolute delight. She was just how I’d always imagined fantasy writers would behave – full of whimsy, depth, and charm with a hint of wicked humor. She sent me a couple of signed books of her earlier works (Vicious, The Archived) but alas, she has gotten too cool and popular for me, what with her movie deals and awards and etc (and also, we only hung out once, so I should probably get over myself), so I don’t have a real claim to fame anymore. Anyway, point is – her Darker Shade of Magic trilogy is by far my favorite work of hers, and I’ve read almost everything she’s published. I’m not typically a fantasy/sci fi person, but her rendering of multiple London’s and parallel universes is completely fascinating. I flew through each of these books as soon as they came out – and now you can binge on them! I actually just read this book this weekend, and became fully engrossed in the restaurant lifestyle of NYC. I L-O-V-E this one, people. This book is an absolute love letter to the frenetic, chaotic, exhausting NYC food scene – the protagonist works in one of the most popular Manhattan restaurants, and describes the high pressure clients, the drug-fueled nights off, and the romantic angst in between. It’s a big-city coming of age novel for a girl who has recently graduated college and comes to the city to get her real education, the development of her “taste” (see what I did there?). It emulates so much of what I both love (and loathe) about NYC – the endless energy, the complete self-absorbance, the artful COOLNESS (and artifice) of it all. This book encapsulates all of these traits quite well, in an easily digestible novel form. I may even end up using this novel for my Make America Read Again challenge. Read it for sure if you love NYC (but if you’re looking for the best food writing, hit up Anthony Bourdain instead. There’s no comparison). So I’m starting to notice a theme in my book picks this week with all of these stories of intense female friendships. This one has an extra twist as it gets all murder-y. Based on the Charles Manson cult, this book is set in the 1960’s and reveals the power of teenage influence and mob effect it can cause. This book is SUPER CREEPY and I had to sleep with the lights on for several evenings last summer when I read it. Fellow whimps beware, but those weirdos who listen to “My Favorite Murder” podcast and watch horror movies for fun…rejoice. 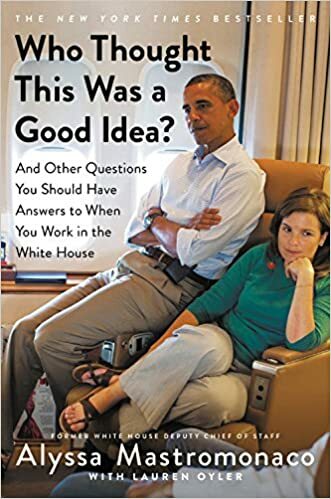 This book follows former President Obama’s deputy chief of staff, the first female to gain that position. Alyssa is an absolutely hilarious writer and she recounts some truly hysterical anecdotes about her White House experience, as well as tips for women who are looking to have a career in politics. This is an easy to read and fascinating memoir, without all the dark pathos so many memoirs tend to have. ← 2. Motherhood and Memory in The Joy Luck Club (California pick) + Bonus rec’s! She was seriously the coolest…even back then, before the archived or vicious or anything, I was still in awe of her! This is a great list! I haven’t read any of them except Darker Shade of Magic. I would love to have a story like you meeting V.E Schwab! That’s so cool! The Darker Shades of Magic series is still on my TBR 🙂 I just actually received my copy of The Girls yesterday! I am pretty excited to start it. There have been a lot of mixed reviews, so I cannot wait to see how it sits with me. I’m excited to hear what you think! I personally found her writing style incredibly compelling, I simply just don’t typically enjoy that genre of fiction (again, because I scare so easily).